Horizontal banners of wild animals in hills wood. Seamless background of crowd people silhouettes with shadows. Seamless abstract cartoon background with many ships. Seamless background of many formulas. 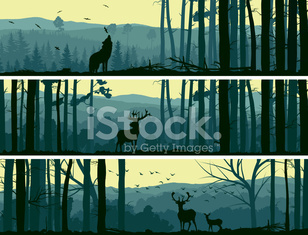 Vector banners of misty forest hills.